Wanna know what we’re really getting tired of around here? The “us vs them” mentality when it comes to reproductive rights and health options for women in the United States. As most of you are aware, a radical anti-abortion group have been releasing secretly-filmed videos where they posed as medical experts having conversations with Planned Parenthood executives. In these videos, which have been heavily edited, the anti-abortion group claim the PP execs talk about the sale of fetus parts for profit, which upon further investigation turns out to be a lie, and the truth is PP are not doing anything illegal, are not profiting from the sale of any body parts, and tissue donated after an abortion was given by a consenting woman. It’s actually pretty easy to find out the facts if you want, just by clicking here. The most disheartening aspect of this whole issue has nothing to do with morality or even the concern of a baby’s welfare. It has everything to do with fear, propaganda, politics and radicalism. The fact that this group went out of their way to spend money, time and energy on one particular organization rather than do something positive for women, says a lot about them rather than the issue of legal abortion (let’s not forget it is legal in the US). “Those who oppose and those who favor legalization of abortion share a common goal — the elimination of all abortion,” he said, and the way to do is that through better, safer and cheaper contraception. The need for comprehensive education and information is also vital to this issue. After all, states across the US that teach abstinence only have the highest teen pregnancy rates. If you want to eliminate the need for abortion (and let’s be real here, no one actually LIKES abortion! It is a very difficult decision to make under any circumstance) there has to be a greater accessibility to birth control options. And with President Obama signing a new law under the Affordable Care Act which allows women to get birth control for free if their employer refuses to cover it in their insurance policies citing religious reasons, it seems we are seeing some much-needed change in this issue, one that relies on facts, science and reason rather than radicalism, emotion and shock tactics. 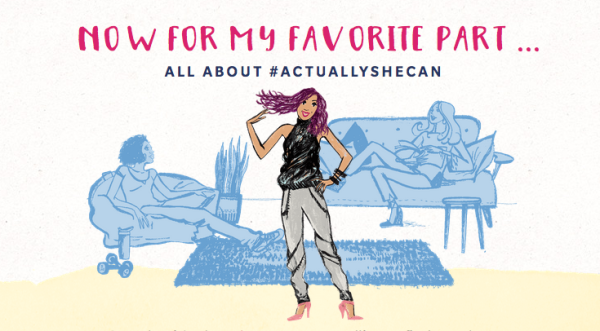 With this in mind, we were excited to read about health company Allergan’s new ‘Actually She Can’ campaign targeting millennial women. 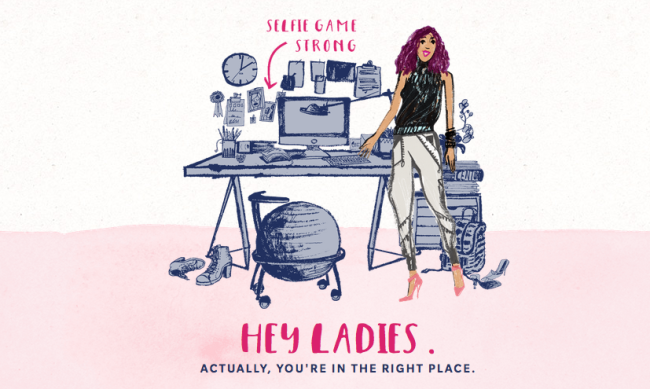 The slogan is a play on the popular phrase used by our generation “i can’t even” and the campaign seeks to inform millennial women about the importance of investing in their own healthcare and wellness, including contraception. Allergan, which has the leading women’s health product line in the industry, are rolling out a large-scale effort to share information that will empower women to make choices about their own bodies. The campaign will include live events and discussions in conjunction with online media site HerCampus, an essay competition with Cosmopolitan magazine, and celebrity endorsements from the likes of actress Lea Michele, and social media stars Lo Bosworth and iJustine, according to the Wall Street Journal. Allergan executives Bill Meury and Herm Cukier told the Examiner in an interview they hope the information they plan to bombard millennial women with will empower when they visit their doctors. “At the core, this campaign is an educational platform for millennial women about health and wellness. And we are creating an environment where they can get the information they need to get informed health care choices and our commitment to women’s health and to this cohort of the population, which is the largest and soon will be the most important, is long term giving our product line,” said Bill Meury. One of their flagship products is Loestrin, which is an oral contraceptive and is used predominately by millennial women. Bill also added that traditional forms of communication about healthcare options such as the doctors office, print media and the news aren’t where most millennial women are turning to so they believe ‘Actually She Can’ will be more effective. “It is very important to this demographic with reproductive health and empower them with the kind of information and language they need to talk to their health care provider about their options. We couldn’t do it, as Bill said, the old fashioned way. This generation doesn’t want you to push out information to them; the old historical channels that industries have used, including pharmaceutical industries, such as television and print ad are not very well received,” said Herm Cukier. 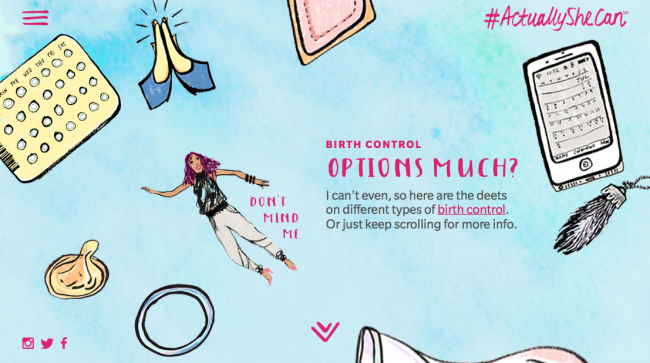 The Allergan team may be focusing on utilizing new media to target and empower millennial women, but we are focused on the fact that a big pharmaceutical company is stepping it up in the general reproductive rights debate (unknowingly) by doing what needs to be done in the first place: offer better birth control options. 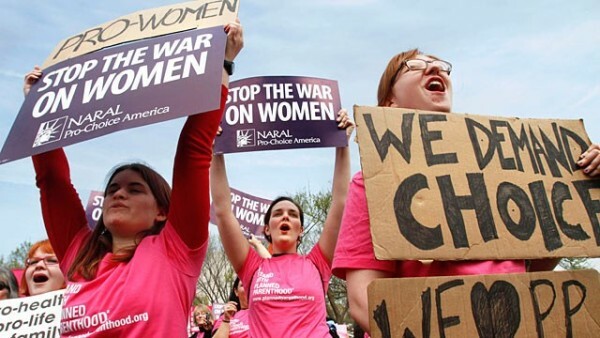 We should also point out that since Roe v Wade, there has been a steep decline in abortions and a study suggests that has to do with the increased amount of birth control available to young women. Thank you Allergan for being part of the solution, not adding fuel to the fire. We need less divisive shock tactics that take away the focus on an individual woman’s right to have proper health care, and more organizations working together to find common ground that empower women to feel they are making the best decision for their lives without it being turned into a potential political battle ground.